Would you mind introducing yourself? My name is Rob Veldman and I am 22 years old. I am a social worker and I love to take photos, listen to music and hang out with friends. I’ve been living in a town in the north of the Netherlands called Assen for my whole life. There is quite some awesome nature nearby so I’m happy to live here. How would you describe your style of photography? I love to shoot landscapes and non-posed portraits, especially on dark, rainy and foggy days because they create such a beautiful moody look. I also try to keep my photos simple and minimalistic. When did you first fall in love with taking photos? During winter days I always saw a stunning sunset from out of my window. I used to take photos and time-lapses of it with my iPhone 4 because I didn’t have money for a DSLR. I think that was the first time I fell in love with taking photos. A few months after that I bought my first DSLR, a Nikon D3200. Do you have a favourite photography related memory, whether it be in front or behind the camera? I did my first wedding in 2016 and that was awesome! Who/What inspires your photography? I’m inspired by the nature around me, rainy days, music and a bunch of cool photographers I discovered through Instagram. What kind of camera do you use? I’m currently using a Nikon D7200 with a Sigma Art 18-35 1.8 & Tamron 70-200 2.8 G2. What's your editing process like? In the past, I’ve bought some presets which I tweaked a lot. I mostly crush the shadows, add an S-curve to the tone curve and do some split toning. I also like to desaturate most of the colours a bit. Are there any tips you would like to give to anyone out there who would love to create similar style photos to yours? Just get out and shoot much. Don’t get discouraged when there are days you don’t shoot great photos, it happens to everyone. When the light isn’t good, come back another day when the light is better. Also, shoot what you love. Don’t just shoot what other photographers shoot, try to find subjects you love and you want to come back to. Who are some of your favourite photographers? Some of my favourites are @andrewtkearns, @laurenlsutton, @pablo_caballero_, @michaelflugstad, @rick.holladay and @brandoneckroth but there are so many more good photographers I didn’t mention. Are there any photographers here on Instagram that you wish more people knew about? I think @pablo_caballero is a great photographer and also @abeshoots gets to surprise me every-time with his creative photographs. What would be your number one dream destination for a photography adventure? Iceland 100%! Those waterfalls, the rainy weather which I love to shoot in and also the wild horses. I hope to go there one day. Which time of year is your favourite for taking photographs? I don’t have a favourite time of the year to shoot in, I think every season has its own beauty and I try to make the most out of every season. The coolest place you've ever been? I made a road trip along the coast of Southern-France 3 years ago and I loved it. I also love to go to Ameland, an Island that belongs to the Netherlands. There is much variety in landscape and you find all kinds of animals to photograph. Do you have any upcoming photography trips/sessions that you would like to share? I think about going to Ameland again soon, that’s the only trip I’m currently planning. I also will be going out with fellow photographers to shoot landscapes and wildlife. Anything extra you would like to share? 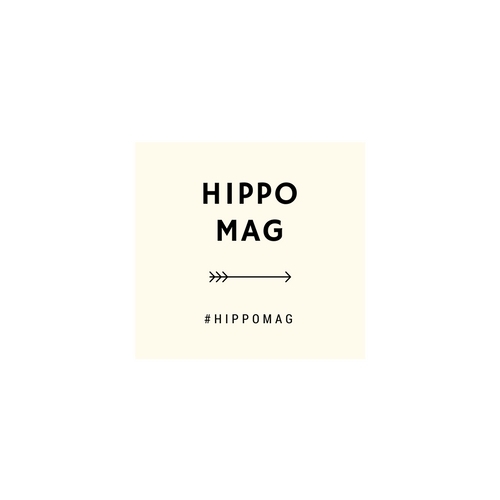 I would like to thank Hippo Magazine for giving me a chance to be featured, it means a lot to me!